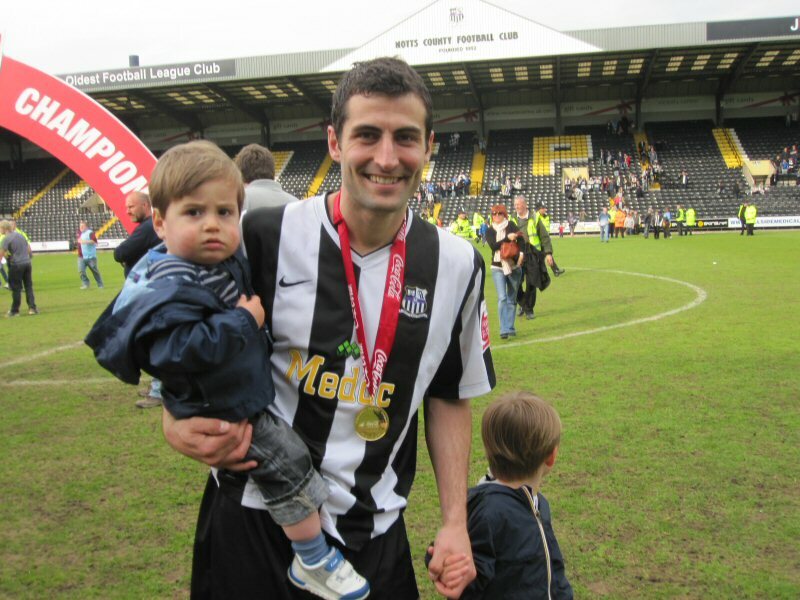 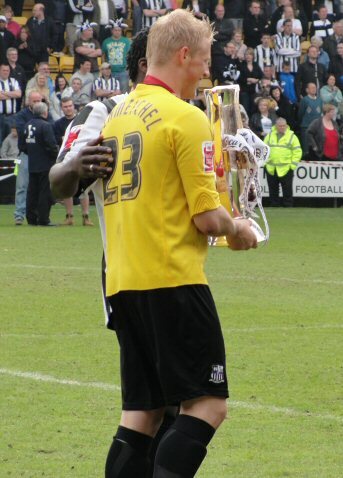 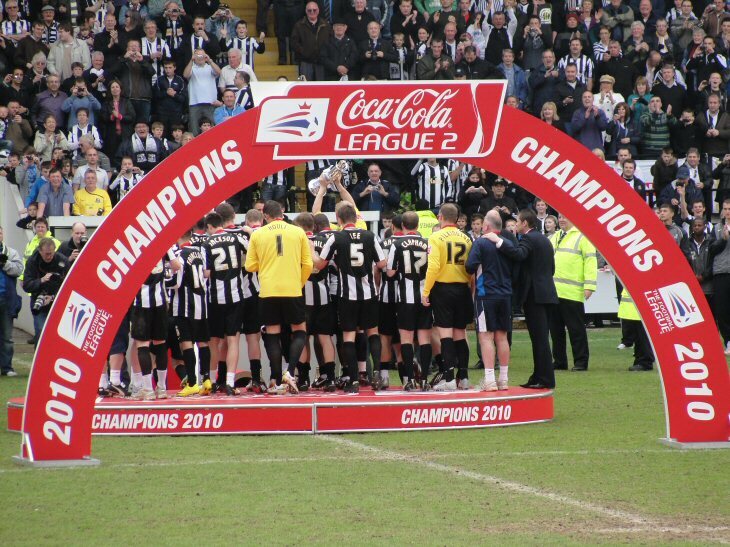 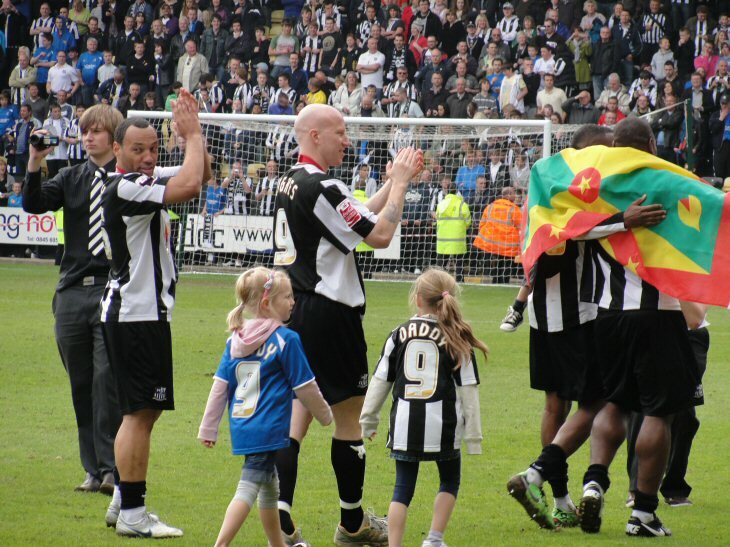 Notts clinched the championship at Darlington with a victory against the demoralised, relegated home side on 27th April. 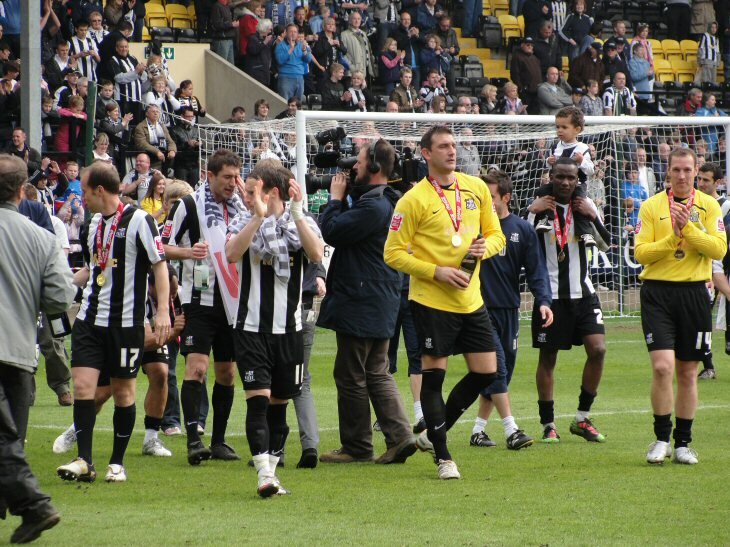 The following Saturday, they were back to lift the trophy in front of the home fans and a capacity crowd (i.e. 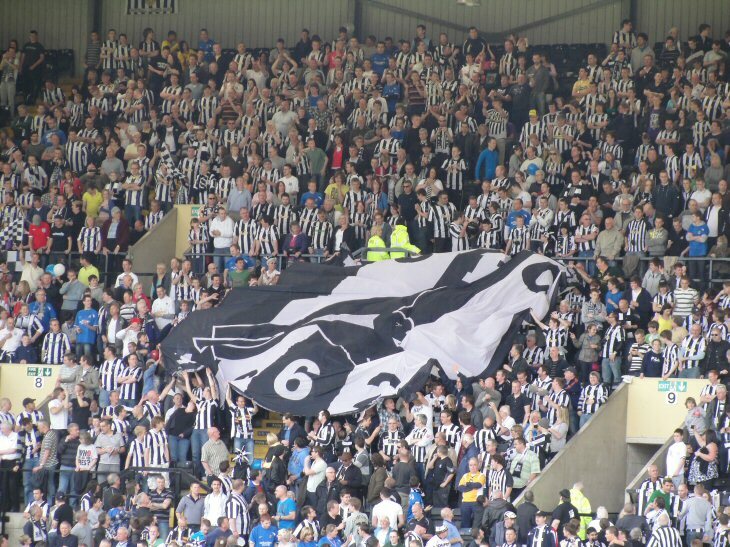 full according to the safety officer) against Cheltenham. 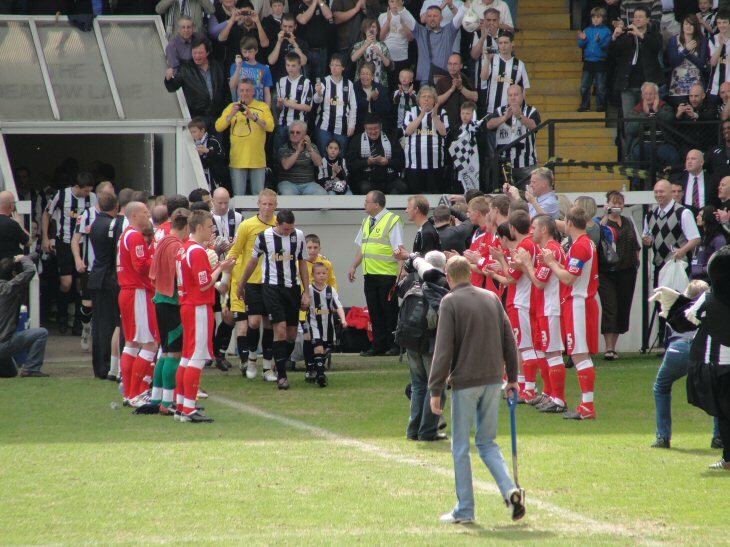 There was nothing riding on this - it was just a moment that the faithful had waited 12 years to see. 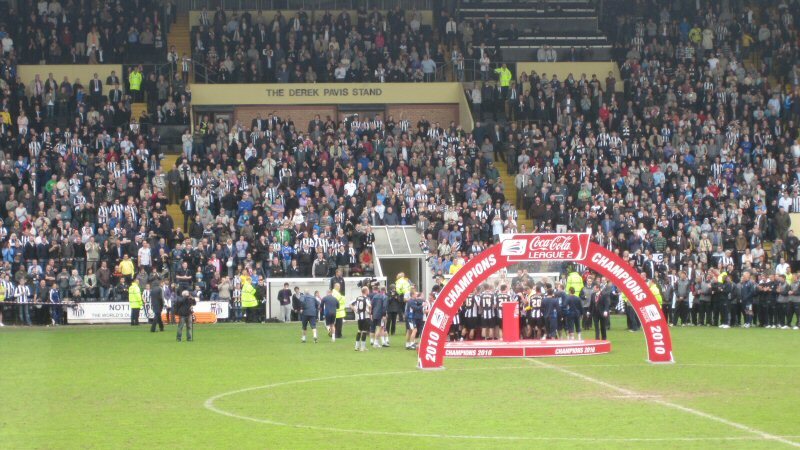 The team collect the trophy - the only time I ever wished I sat in the Pavis !